Liliana is an independent strategic-design-insights consultant, editor and creative entrepreneur based in Los Angeles California. Founder and Design Director of STUDIO LILIANA BECERRA Inc. a company advising Fortune 500 companies and brands on the recognition of global insights, emerging trends and their articulation into specific strategic design opportunities. Current clients & industries include: Consumer Electronics, Food & Nutrition, Medical, Apparel, Automotive Interiors and FMCG. 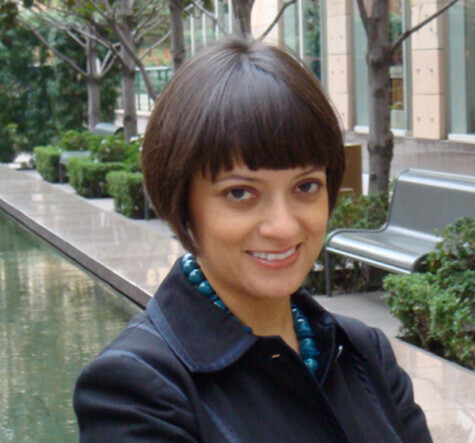 Formerly, Liliana served as the Global Head of Design Insights at Nokia where she worked for 7 years creating and leading multidisciplinary teams and research projects including: cultural understanding of BRIC markets and global annual trend reports identifying key strategies that Nokia implemented into world class products. Liliana is a Faculty member of the Product Design department at Art Center College of Design since 2007, where she teaches design research, design insights and colors & materials design. She has been instrumental in the creation and tenure of CMTEL – Colors, Materials and Trends Exploration Laboratory, since it first opened in 2005. In recent years Liliana has pioneered in creating and developing design research strategies for projects focused on “Design with the other 90%” or “Design for the Base of the Pyramid” in collaboration with Designmatters and NCIIA. Her work in the field has awarded her the IDSA Bronze award 2011 in the Design Strategy category for the project Safe Agua, which, has also been exhibited in several national and international venues including the Cooper Hewitt Design Museum in New York.